Years after becoming friends at Harvard, Ethan, Lisa, Sam, Nick, Max and Marianne are heading into a new era -- their 40s. 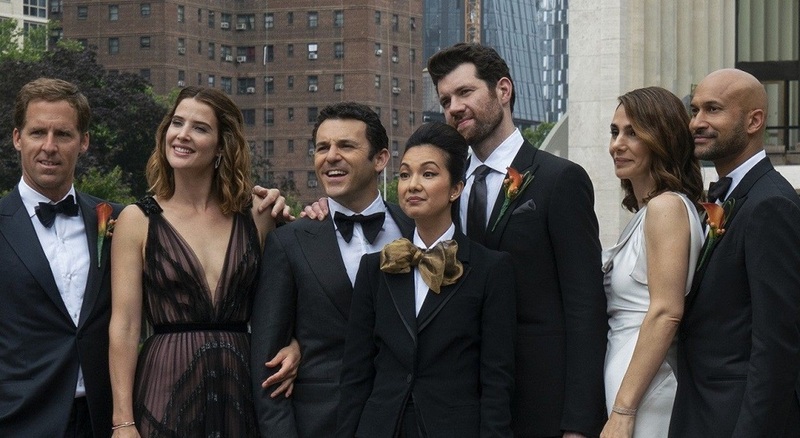 This series, created and executive produced by Nicholas Stoller, delves into interwoven and complicated relationships, including former romantic entanglements and comedic explorations of old bonds. As everyone tries to manage their lives as adults, they also experience nostalgia. Keegan-Michael Key (Ethan), Cobie Smulders (Lisa), Annie Parisse (Sam), Nat Faxon (Nick), Fred Savage (Max), and Jae Suh Park (Marianne) star on the show as best friends who met at Harvard and now all live in New York City. Guest star Billy Eichner plays Felix, Savage’s love interest. As “Friends From College” returns, it picks up about a year after the Season 1 finale where they acknowledge that the affair between Ethan (who had been married to Lisa) and Sam did not go over well.